Welcome to Petrungaro Plastic Surgery Breast Augmentation page. Find information below including costs for breast implant surgery, lots of before and after photos of breast augmentations and information about breast implant types. We proudly offer Crisalix state-of-the-art 3D imaging during breast augmentation consultations to help you select the right breast implants and visualize your new look. Why choose expert breast augmentation surgeon Doctor Jason Petrungaro? 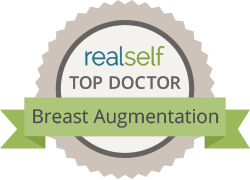 Doctor Petrungaro is a board certified Plastic Surgeon who has successfully completed many years of surgical training in all aspects of breast augmentation. He is well versed in the established traditional methods as well as the latest and most innovative techniques in breast augmentation surgery. Doctor Petrungaro is aware that every patient is different in terms of her body as well as her goals. He listens to his patients and respects their goals and wishes, and will always go the extra mile to deliver the most beautiful results possible. His objective is to provide breast augmentation results that the residents of Northwest Indiana, Chicagoland, and beyond will absolutely love. 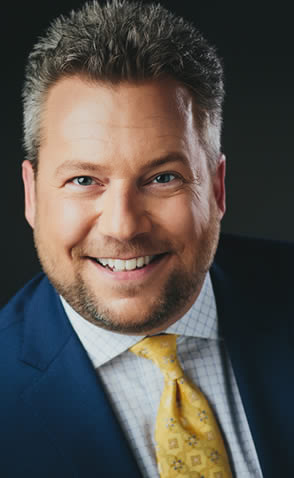 Doctor Jason Petrungaro will be happy to consult with you to help you achieve the look you have been envisioning for so long. If you are interested in a breast augmentation and have questions or concerns, please feel free to call Doctor Jason Petrungaro at (219) 836-1163 or click here to schedule a consultation online. Breast augmentation surgery is consistently one of the most popular Plastic Surgery procedures in the United States every year. In fact, there were over 300,000 breast augmentations performed in the United States in 2017, making it the #1 cosmetic surgical procedure according to the ASPS 2017 Plastic Surgery Statistics Report. Americans spent a staggering $1,116,805,404 on breast augmentations in 2017 according to the same report. That’s a LOT of surgery folks! For all of you considering breast augmentation surgery, I am fully aware that pricing is a very important part of your decision-making process. What I would like to do in this blog is explain how a price quote is put together for an elective, out-of-pocket cosmetic surgery and then touch on some typical pricing for breast augmentation surgery. Let’s start with the price quote. There are multiple components of an elective cosmetic surgery quote, and they all must be added together to get you the “all-in” price. The first and typically most expensive component of the quote is the surgeon’s fee. This is the amount of money your Plastic Surgeon is charging you to actually perform the breast augmentation. The national average surgeon’s fee for breast augmentation in 2017 was $3718 according to the above-mentioned study. So remember, this means half of the fees are less than this and half of the fees are MORE than this. Surgeon’s fees will vary widely depending on your geographical location as well as your proximity to major metropolitan areas. A breast augmentation is going to cost A LOT more in Manhattan or Los Angeles than it will in a small town in middle America. The next component of the quote is your surgery center fee. This is typically split into 2 parts – the anesthesia fees and the facility fees. Sometimes they are paid together and somethings they are paid separately. These fees are what the anesthesiologist charges you to go to sleep and what the surgery center charges you for nursing, OR supplies, IVs, recovery, etc. Just like surgeon’s fees, facility fees can vary widely. On a straightforward breast augmentation, total surgery center fees should typically be between $1200-$1500. The next component of the quote is the cost of the breast implants. Implants can and will vary in price quite a bit. Saline implants might cost you $400 for the pair. Some of the newer silicone implants on the market cost over $2100 for the pair. A fair price for silicone implants is around $1500 per pair. I do not mark up the price of my implants. I charge the patient the same price that I am charged by the manufacturer. Some Plastic Surgeons do mark up their implants in order to make more money from their surgeries. Be sure to ask your surgeon if he or she does this if you disagree with it. The final component of the quote is what I call incidentals and extras. For my quotes, this includes a small charge for a special funnel I use to insert the implants during surgery, a surgical bra you are placed into after surgery, and a cosmetic insurance policy that protects you against complications for 45 days after your procedure. This can range in price from $150 to $400. It is important that you pay attention to the numbers you are quoted after your consultation. Some Plastic Surgeons will make it look like their prices are much lower than others because they are only providing you with their surgeon’s fees and omitting all the other charges I summarized above. Don’t be caught off guard when it is time to pay for the surgery and all of a sudden you owe a couple thousand dollars more than you originally thought because the doctor’s office did not give you an all-inclusive price. Most offices (mine included) are happy to collect all of the fees and then pay the surgery center for you, but some offices require you to pay the facility fees directly to the surgery center. So, with the components of the price quote just explained, let’s answer the question! How much does a breast augmentation cost? Let’s take some very reasonable numbers and put them together. Let’s say $4000 for surgeon’s fees, $1200 for all surgery center fees, $1500 for 2 silicone breast implants, and $350 for the incidentals. This puts your “all-in” price at $7050. And yes, I know — there are going to be all-inclusive price quotes that are less than this just as there are going to be all-inclusive price quotes that are much, much higher than this. Once again, it all depends on where you are from a geographic standpoint. Remember, I am taking numbers that I feel are fair and putting together an example quote. I am not stating that this is my exact price for breast augmentation. I am simply taking into consideration pricing that reflects a general average between high and low components of quotes across the nation. I have seen silicone breast augmentation specials for $3995 and I know of patients that have paid over $10,000 for their augmentation. My advice? Never go to the cheapest doctors because they might not be very good at what they do, or they aren’t a board-certified Plastic Surgeon at all (the most likely scenario). And avoid the doctors who charge double and triple the national averages because it is pretty unlikely they do anything better than the other well-trained Plastic Surgeons in the area who charge fair prices. Find a board-certified Plastic Surgeon who spends plenty of time with you during your consultation, makes you feel comfortable and confident in his or her abilities and provides you with a price quote that you feel is fair. Remember, you get what you pay for! Have you always wanted bigger, fuller breasts? According to the American Society of Plastic Surgeons, breast augmentation was the #1 cosmetic surgery procedure of 2016. Over the last 15 years, breast augmentation has grown by 300%. With dedicated research proving the safety of silicone and the improvements in surgical techniques, breast augmentation is now safer and more attainable than ever before. Breast augmentation is very empowering for women with an extremely high rate of satisfaction. It is a very safe outpatient surgical procedure that typically takes 60-90 minutes. The majority of patients have little or no pain in about 3 days, and can resume most usual activities including showering the day after surgery. Heaving lifting, overhead reaching, and any kind of strenuous exercise or activities are restricted for two weeks to ensure your wounds heal well and minimize any risk of complications. Considering breast augmentation in Northwest Indiana and Chicago area? 42 year old woman 3 months after Breast Lift with Augmentation. 38 year old woman 4 months after removal of implants and re-augmentation of breasts. 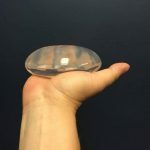 There are many types of breast implants being used in breast augmentation surgery, and without proper consultation with board certified Plastic Surgeon Doctor Jason Petrungaro, the options can be confusing and frightening. The primary variables that make up the components of a breast implant are the type of material that fills the implant (silicone versus saline), the shape of the implant (round versus anatomic), and the surface of the implant shell (smooth versus textured). Each of these breast implants were created for a reason and therefore they each have their own set of positive and negative attributes. Choosing the correct implant to reach your individual goals requires an experienced, thoughtful surgeon. A thorough consultation with Munster breast augmentation surgeon Doctor Jason Petrungaro will ensure that you are well-informed and confident in your choice of implant. Saline Implants: Composed of sterile saline (salt water) solution. If the implant shell ruptures, saline solution is naturally absorbed by the body and the implant will slowly deflate. Silicone Implants: Composed of medical-grade silicone. These feel more natural and if the implant ruptures, the silicone will typically stay in place. All current silicone implants are form-stable, or “gummy bear” implants. Round Implants: These implants are designed to allow some movement which generally makes them appear more natural than other implants. Anatomic Implants: These implants come in a variety of shapes and sizes and are designed to hold a specific shape and position to create a particular shape to the breast. They are only available in silicone, and they are meant to avoid rotation. Smooth Implants: These implants are designed so that if any rotation occurs, the breast maintains the same shape. They can be filled with either saline or silicone. Textured Implants: The rough outer texture of these implants creates a Velcro-like surface for the body to stick to, which prevents rotation and movement. All anatomic implants are textured, but round implants can be textured or smooth. 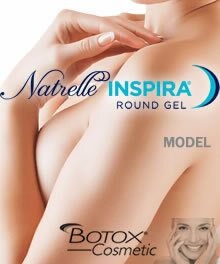 Petrungaro Plastic Surgery is excited to now offer the Natrelle Inspira line of silicone breast implants! Composed of a highly cohesive silicone gel, these gummy bear implants will give you the look and feel you have always wanted! And as a special gift, after completion of your breast surgery receive a complimentary 50 units of Botox for you AND a complimentary 50 units of Botox for a friend! Each of these gifts is valued at over $650 and will treat your entire brow, forehead, and crow’s feet. Call us today at (219) 836-1163 to set up your consult and take advantage of this absolutely phenomenal offer! Petrungaro Plastic Surgery is thrilled to offer the newest breast implant on the market, the Mentor MemoryGel Xtra! This exciting new silicone implant is specifically designed to provide a soft, natural feel with increased projection, fullness, and firmness compared to standard gel implants. They are a wonderful choice for women looking to have a breast augmentation or a breast lift with implants. Not all patients are candidates for aesthetic breast surgery. Individual results will vary. All other surgical fees apply. Call us today at (219)836-1163 to book your consultation with NW Indiana breast augmentation surgeon Dr. Jason Petrungaro! Now available in our office, the IDEAL IMPLANT® Structured Breast Implant, a new third type of implant that is filled with saline, but has an internal structure to make it behave as if filled with silicone gel. The IDEAL IMPLANT contains a series of nested shells that provide support to the edges and control fluid movement to prevent bouncing. The result is an implant that combines certain key features and benefits of both saline and silicone gel implants. Like the saline implant, the filler is only saline, which women like for peace of mind in case of a rupture/deflation. Like the silicone gel implant, it has a natural feel, but without the risk of silent rupture and FDA-recommended MRI scans – women can simply look in the mirror and know their implants are intact. In addition, clinical trial results at 6 years show the IDEAL IMPLANT has a lower rate of capsule contracture and a lower rate of rupture than silicone gel or saline implants for primary augmentation. Call us today (219) 836-1163 to book a consultation. Do your own side-by-side comparison of the IDEAL IMPLANT to the silicone gel implant. If you are in overall good health, have a true personal desire to increase the size and change the shape of your breasts, and have realistic goals concerning your surgical results, then you may be a candidate for breast augmentation. Most women considering this type of surgery are dissatisfied with the small size of their breasts and hope to surgically correct it. Young women who have not fully matured should wait at least until age 18 or until their breast size has stabilized prior to proceeding with breast augmentation surgery. It is important to note that at this time, silicone breast implants are only available to women age 22 and older for use in cosmetic breast augmentation. This age was set by the U.S. Food and Drug Administration when the implants were reapproved for use in 2006. There are also official recommendations by the FDA that silicone breast implants be periodically monitored for rupture using MRI of the breast. Saline implants are approved for women 18 years of age and older. During the initial consultation, Doctor Petrungaro will take very specific measurements of each patient as well as get an idea of what size the patient is looking to achieve. These measurements are then converted into the best implant size for each patient. The patient then gets to try on implants using a special sizing system that simulates the final result. Depending on how they look in the mirror, the patient has the option to go up or down in implant size until they are completely happy with their appearance. Doctor Petrungaro can also use special temporary implants at the time of surgery to ensure the best results before placing the permanent implants. Are you a Chicago resident seeking breast augmentation? The procedure is best approached using a tiny “inframammary” (IMF) incision along the crease under the breast. Depending on the type of implant (saline versus silicone), the incision is between 3-5 cm in length and heals extremely well and is well disguised. There are other incisions that can be made but none of them provide the same accuracy of implant placement as the IMF incision. Implants are typically placed in the subpectoral pocket (under the pectoralis muscle). Saline or silicone gel implants are selected by the patient during the preoperative consultation, as well as the size (recorded as a volume in mL or cc’s, for example 350 mL). Since the FDA reapproved the use of the silicone gel implants in 2006, the vast majority of breast implants chosen are silicone because it feels and looks more natural than saline. Complications of surgery such as hematoma, seroma, and wound infection are nationally quoted at about 1% of all patients in the United States. In the event of a postoperative issue, early recognition and treatment are essential to remedy the problem. $500 OFF YOUR Breast Augmentation WHEN YOU CALL NOW.